I'll be demonstrating at the Sydney Craft and Quilt Fair from Wednesday to Sunday this week. 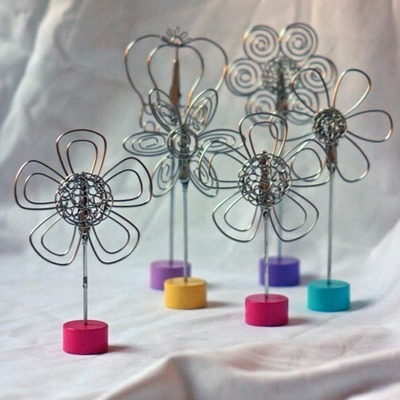 The details below came out last week in Scrapper's Choice, the online newsletter for Scrapbooking Memories. It gives the times and details of the demos. If you're visiting the show make sure you drop by the Studio and say hello to us! Meet Fiona Carter and Leah Latham, our two Creative Editors at The Studio - the dedicated Scrapbooking Pavillion - at the Sydney Craft & Quilt Fair this month. They'll wow you with their latest articles - in real life! Enjoy the opportunity to see them in action and share their ideas. Ask them questions or sit down for a chat. At The Studio you'll gain insight into the latest trends and techniques as featured in the current and upcoming issues of Scrapbooking Memories, plus our team will take the techniques further again and show you more examples to inspire you to get started. Arrive early and take a seat - we're there all day for a chat and to show off some stunning layouts from the magazine in a gallery presentation that you can wander into and check out anytime. And at The Studio, you'll also enjoy meeting other scrapbookers, so enjoy the face to face opportunity! Because we all just lurve getting freebies, each session we'll be giving away a great scrap pack to one lucky visitor - that's all the more reason to keep coming back! Fiona Carter explores creative techniques for using punches in layouts and titles. Come along to see her clever ideas and inspiration for punch art on your pages and beyond! Leah Latham plays with words! Her demonstrations will give you new ideas for making your own letters and also creative ways to work with pre-fabricated letters. Leah makes titles and accents easy and fun. Fiona shares her clever ideas for creating layouts in the style of the day without necessarily using antique hues. She'll show you how to make retro layouts using your current paper supplies. Leah uses a sewing machine and hand-sewing threads to bring simple stitch work into layouts. Stitch titles, embellish pages with thread and find out heaps more clever ideas for working with threads in your scrapbooking. Some more gorgeous products from my suitcase... from MOD Designs and Foof-a-la. 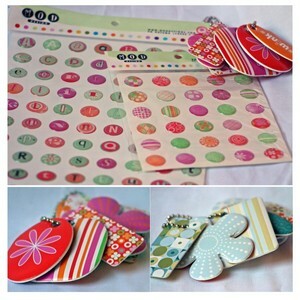 I just love the MOD Designs papers, and all the embellishments that match their paper ranges. To the right are some of the epoxy stickers with letters and 'mod' designs on them. And the little 'puffed' pillows are such a fun embellishment. The colourways are hot pinks, soft pinks and greens, soft blues and greens, in geometric shapes, flowers and paisleys. Just gorgeous. And then there were the Foof-a-la (I just love saying that!) Thrift Shop Canvas Flowers. These are adhesive canvas flowers ready to be used as is, or ruffed up along the edges and added to a project. I found these little goodies in a scrapping shop called Scrapbook Oasis, which I visited during CKU. The shop (as many local stores did) provided transfers from Anaheim to their shop so we could... well... shop! 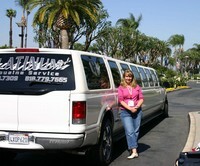 (See left for the limo transfer Scrapbook Oasis provided - this vehicle was huge inside.) My accomplices on this trip were Sarah and Rachelle, and Jessica a gorgeous American girl we met up with. The store was quite small, but their selection of product was fantastic; huge selection of Li'l Davis Designs, KI Memories, Autumn Leaves including MOD Designs and Fool-a-la products were available as well as a great array of ribbons. A store I would definitely visit again if I were in the area! ... I have now! 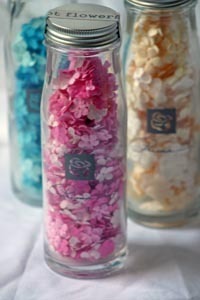 Milkbottle flowers by Prima. Found these in a store during the shopping tour I did the day before CKU, but that's a whole other story. I am so taken in by packaging, and I just love these glass milkbottles filled with little flowers. I haven't even opened them, the little seal across the top of the bottle is still in place, and I just have them sitting on my cupboard. I had seen these little bottles on the internet before leaving for the US, and was so excited to see them in real life. And despite what my friend thinks, I didn't buy one of every colour! I left plenty in the shop for others... this time. I will open them soon and start using them, but for now they will stay as they are for me to enjoy! ... and enjoying it. Its been a week since we flew home and I still have a suitcase in my scrapping room with lots of goodies waiting to be unpacked. As I unpack these little goodes, I like to remember the little places visitied, often stumbled across, like a gorgeous little shop in Coronado (San Diego, CA) called Seaside Papery. We'd finished breakfast in a great little cafe we'd found, and were wandering down the street. I'd stopped to look in another shop when Paul gestured to me "you might want to have a look in this one". Did I ever! Its shelves were filled with brightly designed stationery, cards and gifts. I found these little card/photo holders scattered around the store, and just had to have them! I have wanted to start a blog for a while now, but decided to wait until after my trip to the US. Well, I'm back now, getting over the jet lag, still unpacking all my scrapping goodies from the US and trying to return to some sort of normal life... trying! So here I am finally entering my first post on my blog. I hope to share some of the things I love in life; scrapbooking, art and crafts in general, food and cooking, and probably random ramblings about lots of other things that come to mind!